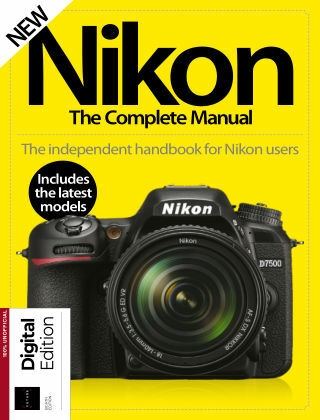 With Readly you can read Nikon: The Complete Manual and thousands of other magazines on your tablet and smartphone. Get access to all with just one subscription. New releases and back issues – all included. "Nikon has been at the forefront of the photography industry for nearly a century, and that is set to continue thanks to its outstanding range of DSLRs, CSCs and compact cameras. Nikon keeps the competition on its toes with regular additions to their incredible lines of cameras and kit. The new edition of Nikon The Complete Manual will take you through the basics of your device, from the initial set-up process to selecting modes and settings. Then our step-by-step tutorials on techniques and editing skills will have you shooting like a pro in no time. Introducing Nikon - Select the right model for you and find your feet with your device Understand modes - Navigate all the shooting modes to optimise your photography skills Using your Nikon - Follow step-by-step tutorials to perfect a range of essential techniques After the shot - Embrace our selection of editing and sharing tips to maximise your shots Also inside... - DSLR - CSC - Bridge / Superzoom - Compact - Action Cameras - Set up your Nikon - Prepare your Nikon - Pick the right Nikon lens - Essential kit - Cleaning your Nikon - The Nikon buttons - The Nikon menus - Auto mode - Scene modes - Program mode - Aperture Priority mode - Shutter Priority mode - Manual mode - Video mode - Composing your shots - Focusing your Nikon - Metering your shots - Control white balance - Master ISO - Work with flash - Capture stunning portraits - Shoot landscape photography - Photograph the finer details of life - Shoot amazing wildlife photos - Master black and white - Take fantastic low light snaps - How to import and export your images - Fix exposure - Boost contrast"